Ethercap is a 10/100BASE-T Ethernet rotary coupler for industrial applications, housed in an IP54 tiny aluminum case. 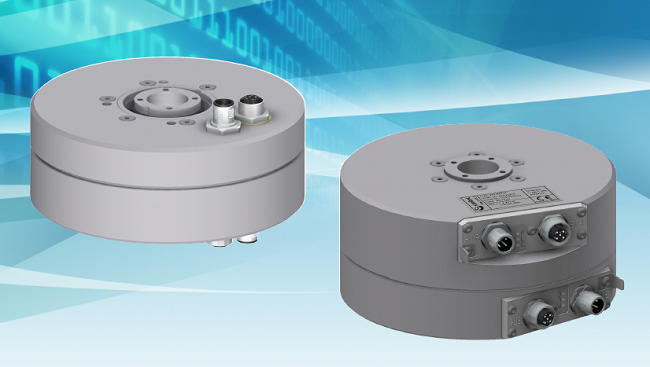 Capacitive coupling technology allows high-speed contactless communications between revolving parts on machinery and robots. Tested on high-speed real-time SERCOSIII™ protocol, it is ideal for Ethernet-based fieldbuses. The connections to power supply and to fieldbus are made by robust M12 connectors placed aside the disks or longitudinally, depending on the product version.